The end of the year is drawing near, and how can we begin to thank you all for showing up in the many ways you did. New children sponsored, a kitchen and office building built, a road paved, an orphanage stayed open and running, and many, many more people were touched as you showed up and walk alongside us. 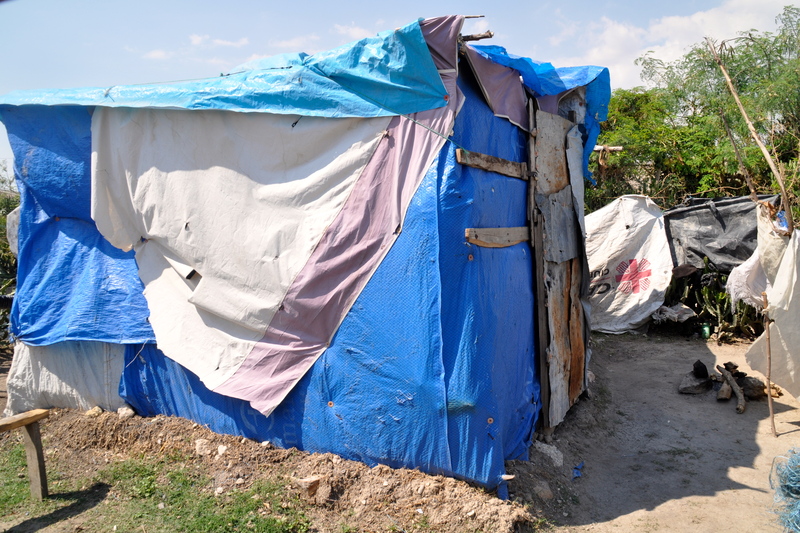 To build 5 new homes for 5 families who have been living in a blue tent for 5 years now. January 12, 2010 will mark the five year anniversary of the 7.1 earthquake that shook Haiti to its core. 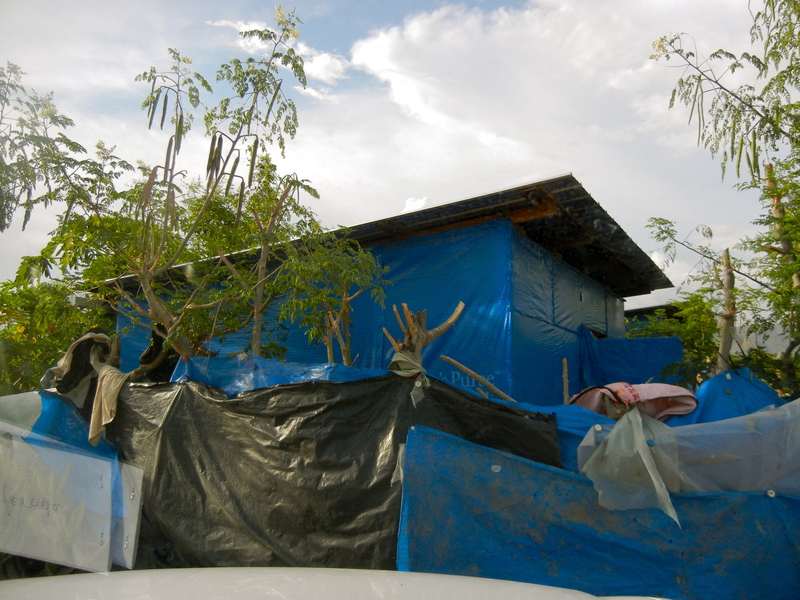 Five years later we have neighbors, students, and friends who are still living in blue tents that were meant to be temporary. I stand in these “homes” and wonder, just how do they do it? How do they keep on keepin’ on with no running water, no electricity? How do they sleep so many nights on dirt floors with roofs that leak over their heads? Well change is coming and it is up to us. 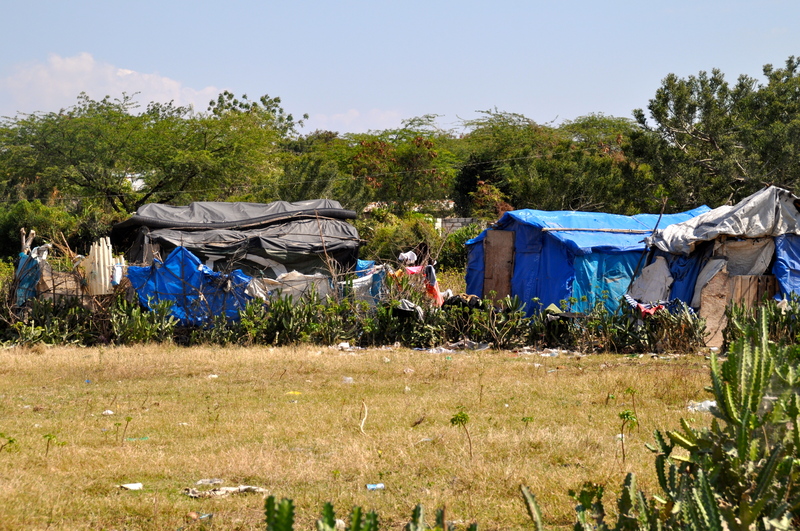 In large, five homes may not be much as thousands still live in tents, tarps and structures made of scratch. But to me, it’s a start. And I want you to be here for the start of something beautiful and new. So, will you join us as we begin to raise the funds to building 5 new homes for 5 families who have been living in what I would consider hell for the past 5 years? Will you see to it that 2015 will look different for these families? Will you pray with us for heaven’s gates to open up and for blessings to rain on down? To read more about the families and stories, you can go on over to our friends’ blogs Jennifer Dukes Lee and Lydia Lee as they write about their wishes for the end of a blue Christmas. Kayla has also written today about how she remembers the day the earthquake hit and how she wishes for a better tomorrow.